If you have locked yourself out, we have a locksmith available at all times to quickly reach your location around the clock, 7 days a week. Being locked out of your property is not a good experience, however it can happen unexpectedly. At Emergency locksmith Perth we offer prompt and professional local 24 hour Perth emergency services. Whenever or wherever you need an emergency locksmith, we will send a team member to provide reliable and prompt service after your call! Call us for 24 Hour Emergency Call-Out Service, that covers all areas and for all residential and commercial properties in Perth. Our 24 hour Perth Locksmith service includes lock-outs, re-keying of locks and fixing any locks. Our team of expert Mobile Locksmiths service all areas in and around Perth. You can’t avoid emergencies or lockouts of any type since these things happen sometimes. You can get help to get out of a frustrating situation. Even if you can’t find your keys, which can happen frequently, you can get out of it by having new keys made or having a new lock system installed quickly and affordably. Our team member can also make suggestions for you as to the next step you need to take. You can lock yourself out of the home or office and still get back in whether people are there or not. We’ll get you back in the door to your car, home business or anywhere else you can think of. 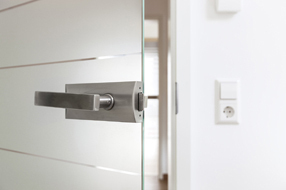 Emergency Locksmiths Perth will come to you. We open any lock, fix any key, lock or locksmith problem you have. Have you misplaced your car keys? This happens to everyone and to some, almost every day. You can’t find them in your purse on the furniture or anywhere else. Maybe the keys got lost somewhere you visited. If you can’t find them anywhere, give us a call and we’ll send an experienced locksmith out to your location and help you get a new set of keys or get your foot in the door without breaking any windows. Get into your car and go where you need to go, whether you’ve lost your keys or have left them in the ignition. Many new cars these days cannot be opened using a hanger. Don’t both trying this method since it can damage your car door and the wiring. Let one of our experienced locksmiths quickly open the door for you without any damage, without hangers and without anything else that can do more harm than good. Our experienced car lock smith don’t need to go back to our business location to get any job done. They arrive with all the mobile tools you need so just one visit, and your needs are taken care of on the spot anywhere. I’m sure you have at one time or another locked your keys in the car and couldn’t get into your home. How do you get back in? You can’t call anyone like the kids who are at school and your husband is away on a business trip. what happens if the lock is broken and the key won’t open the door? You think you’re in trouble and stuck outside indefinitely. It doesn’t need to be this way. You will need an emergency 24 hour lock smith near you to unlock the door for you, make you a new key or replace the lock you currently have on your home. You’ll feel relieved after the door is opened and you can finally go inside. Our locksmith team will do what it takes to get you back inside to give you peace of mind so you can concentrate on relaxing after a tough day at work. It’s your choice whether you want to rekey the lock, get a new one if it seems like the lock has been tampered with or if you want us to get you in the door. If you want the lock replaced, we can recommend the best ones for you, too. You must take special considerations for businesses when it comes to security and this problem needs to be solved as quickly as possible before it spirals out of control.We can rekey cabinets and desks that cannot be opened and we can also make duplicate key sets for them so this type of situation will never happen again. Locks can be repaired by our at call locksmith after the damage has been assessed and we’ll tell all of the options you have to resolve the problem. Locksmiths know that many of these scenarios aren’t restricted to a 9-5 schedule so finding a locksmith that provides 24 hour lock smith service is one that can serve you any time of day when you need them most with a reasonably fast response time. Emergency Locksmith services aren’t the ones you think of alongside fire or health needs but when you’re on the side of the road holding half of a key, you should call us when you need a qualified local locksmith. We have mobile vans covering the greater Perth area plus we also have a workshop and showroom at our head office in Leederville should you require to bring your locks or keys to us.